This long awaited title was the first collection containing more than one Phantasy Star game released outside of Japan. Although the collection shares a name with the Sega Saturn title, this version is a bare bones package. Developed by Digital Eclipse, with supervision from Overworks, and published by THQ, this gathers the first three entries of the series, with no bonus material. The lack of bonuses, however, does not mean the games are exact ports. Phantasy Star is fully emulated, but contains a bug that sometimes crashes the game when saving. The other two games are recreations based on the code of the original Genesis games. 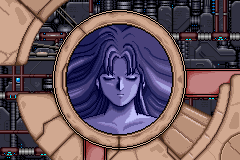 Phantasy Star III includes a few enemies that did not appear in the Genesis release. Unlike the Saturn's Phantasy Star Collection, this version does not include Phantasy Star IV. Many fans have speculated on the reasons. According to the title's Emulation Programmer, Jeff Vavasour, it was excluded due to issues with the amount of space required to store the game music while preserving the music quality. To produce a high quality collection, only the three games were made available.